Yom Kippur (Day of Atonement) is considered the holiest day on the Jewish calendar. The date of Yom Kippur is 10th day of Tishri. This calendar day is the same day when G‑D forgave the Jewish people for the sin of the Golden Calf. Yom Kippur allows one to dedicate mind, body, and soul to reconciliation with G-D and fellow human beings. Even non-Orthodox Jews, and some Christians, will fast, refrain from work and attend synagogue services on this day. It was my honor and pleasure to serve for ten years as a “High Holiday Cantor” for Rosh Hashana and Yom Kippur in Peekskill, a small Orthodox Jewish community in northern Westchester, NY. 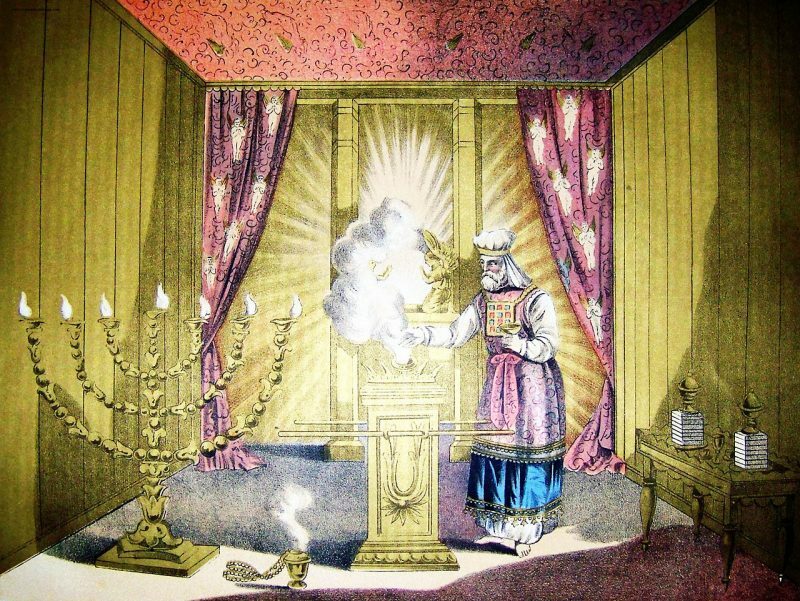 The ancient Hebrew litergy filled the century-old wooden synagogue with spiritual enchantment. This video shows how the Jewish culture has been absorbed into American culture. As you can see even an Italian-American can become a Cantor. This Holy Day comes directly from the Bible with instructions. First of all this is a “fast day”. For nearly 26 hours Jews “afflict their souls” by abstaining from food and drink, not washing or anointing their bodies, not wearing leather footwear, and abstaining from marital relations. Before the beginning of the holiday, fathers hold the “kaparot” ritual, in which a poor chicken symbolically absorbs the sins of the person by swinging it over his head and the heads of all the family. The chicken is then slaughtered. Today one may swing coins over the family heads and then give them as a donation to charity. Like all Jewish holidays Yom Kippur begins begins at sunset and ends at sundown. Maariv: The solemn Kol Nidrei service kicks off the holiday. “Kol Nidre” means “all vows,” and in this prayer, we ask G-d to annul all personal vows to G-D we may make in the next year. Shacharit: The morning prayer. After the Shacharit service the Book of Jonah is read. Musaf: The Musaf (addition) service includes the Avodah service which retells a detailed account of the Yom Kippur Temple service on this day. During this service the cantor reads about the scapegoat carrying away the sins of the entire community: “He (the High Priest) is to cast lots for the two goats–one lot for the LORD and the other for the scapegoat.“ Leviticus 16:8. Neilah: The Neila “locking” service comes at the very end (Here is where Islam took five prayers per day.) The gates of heaven, which were open for atonement all day, will now be closed. In Israel Yom Kippur is the one day when normal life comes to a stop. All businesses close, including all restaurants and places of leisure. All transportation stops – Ben Gurion Airport, Israel’s major airport, stops functioning, as does all public transportation. All Israeli radio and TV broadcasts are also suspended. Private and government offices are all closed. Although many Israelis are “secular” (non-Orthodox) most the country’s Jews don’t drive their cars on this day. All the city streets are filled children riding the bikes, roller blades and skateboards on the open roads. Read more about the Yom Kippur War here.